Atheism is a growing trend all over the world. More and more people are beginning to question the existence of God. With the massive popularity of the “four horsemen” of the New Atheism movement, Hitchens, Dawkins, Harris, and Dennett, many believers, including Muslims, are starting to question whether a god actually exists. And if He does, who is He? Ustadh Ali Ataie provides an excellent response to disturbing trend. The issue of ‘race’ is a sensitive area that many people simply do not want to discuss. The above mentioned statement of the Prophet (saws) is often quickly cited to avoid the controversies that surround ‘race’ and its implications in Islamic discourse. 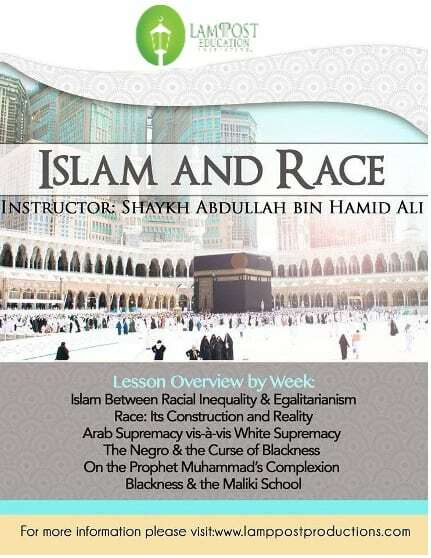 In this course, race and racism will be tackled ‘head-on’. We will explore some of our common attitudes and perceptions about race and its impact on our Islamic belief and practice. What is the difference between race and racism? Is racism a term which only denotes what happens when “white” people discriminate against “black” people? Is race real or merely a social construct? What do classical Muslim scholars have to say about race?